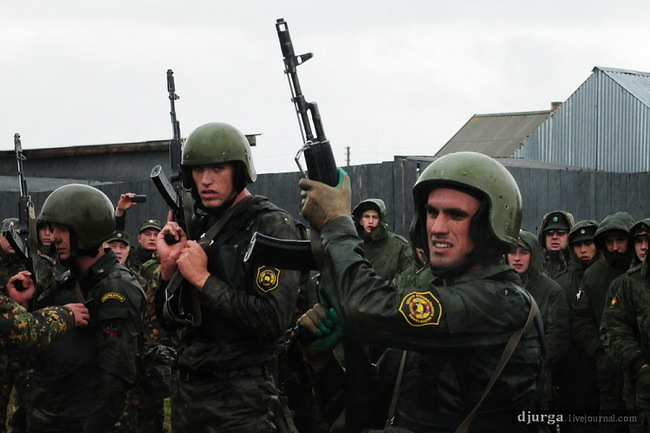 In 1977. created the first division of the Interior troops. 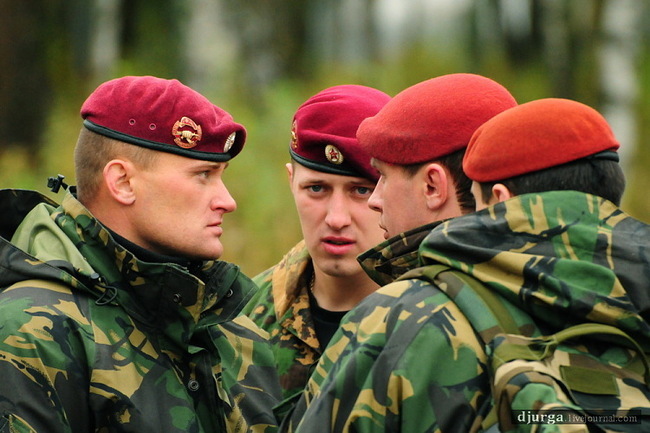 Since 1978, the maroon beret adopted as uniform headwear. Tests for the right to wear it held since 1988 (since 1993 — officially). The tests are carried out 2 times a year, in spring and autumn. 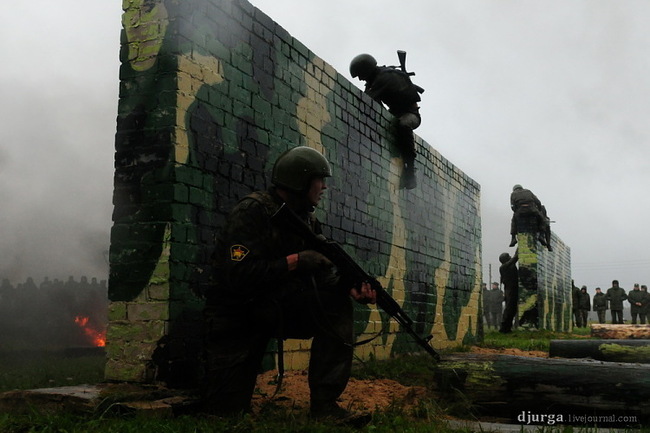 Before the tests allowed soldiers who have served in the special forces for at least 12 months and passed the preliminary selection in their military units. 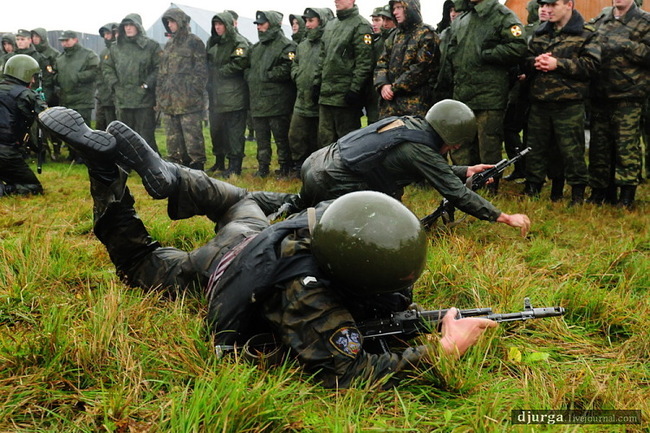 All instructors at the trials themselves "krapovikami." The first stage — march. Distance — 12 km. 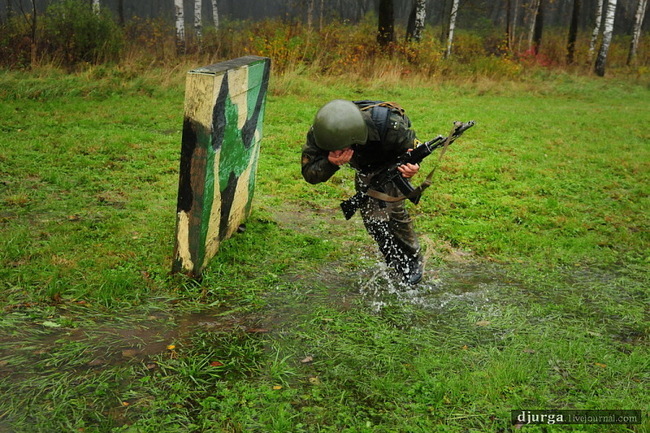 On the course, participants must debris, water obstacles, fulfill tactical input. 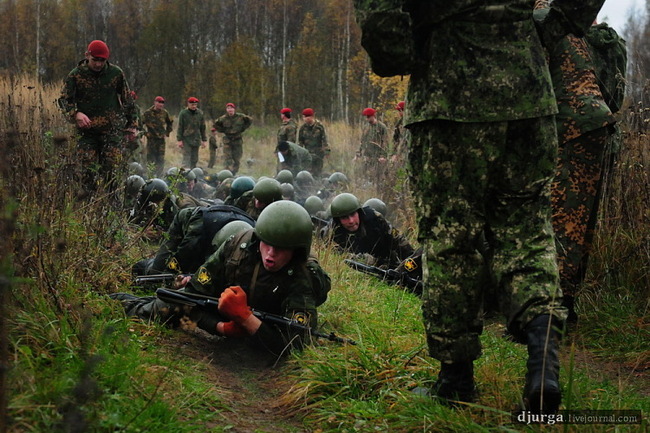 March, fiery assault strip, fire, and high-altitude training participants are in combat gear weighing more than 20 kg. All stages of the tests are performed without interruption, one after the other. The second stage — overcoming obstacles fiery assault course. The participants overcame obstacles threes, gradually moving from object to object. 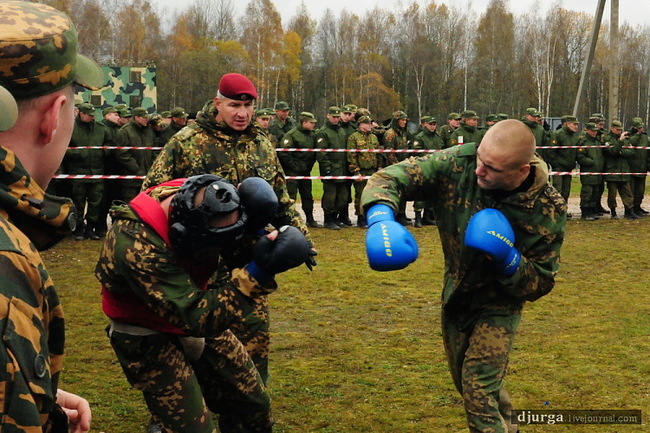 After passing through the fiery assault course fighters demonstrate the willingness of weapons to fight. They should charge issued to them at the start of blank cartridge and take a shot. If the shot does not, then the candidate is removed from the race. 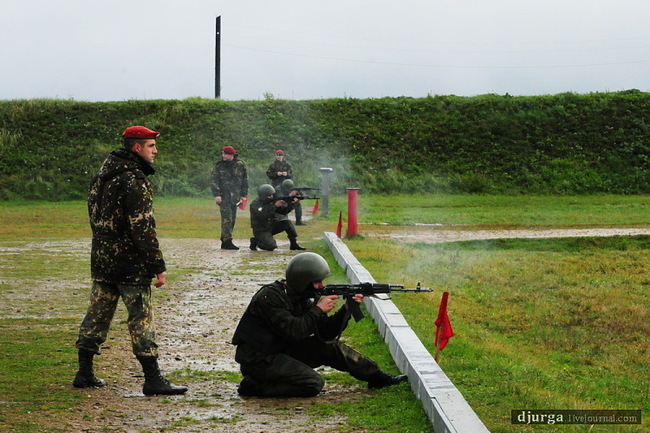 Firing practice. 20 seconds participant had to hit the target with a machine gun, a "terrorist" is not hitting at the same "hostage." High-altitude training. 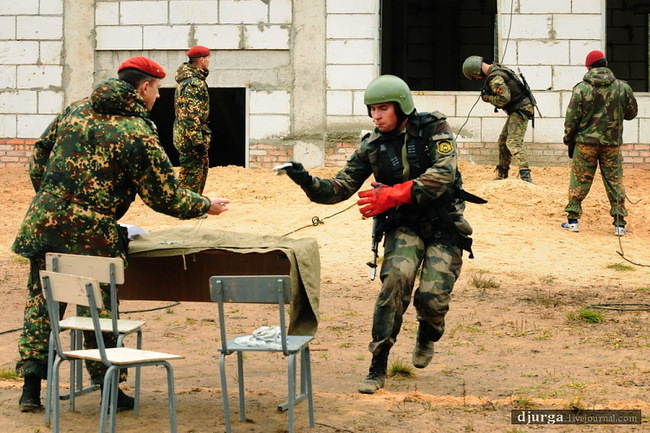 The dealer has to come down from the fifth-floor window, do all in the fourth window, the window of the second floor to bring down the mannequin leg and throw a grenade through the window, and then detach the rifle on the ground and Ran 15 meters from the building to put "eight" on the instructor's desk or slap on the hand table. For this exercise have 30 seconds. Made a mistake when making or runs out of time are removed from the test. Finally dogfight. Applicants must survive in fights 2 minutes without a break. 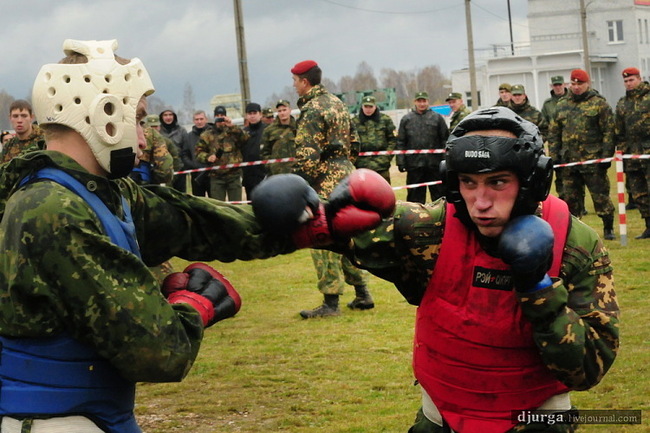 Fights were divided into four rounds of 3 minutes in which handing over fought among themselves and with the instructors. And the instructor, who had just as tough opposed candidates genuinely happy for those who passed the test. 20. 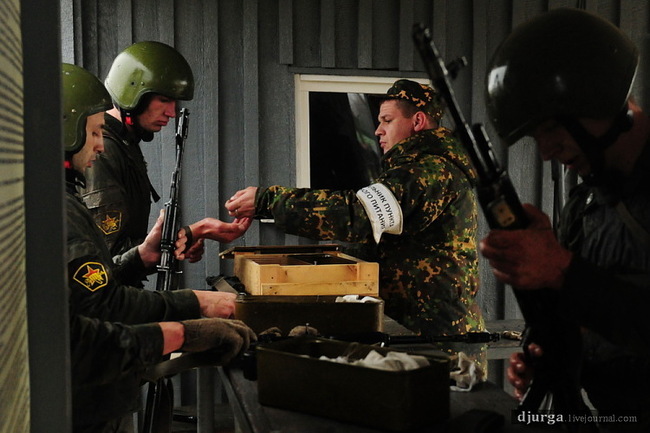 Handing Berets held with the general construction of trial participants. 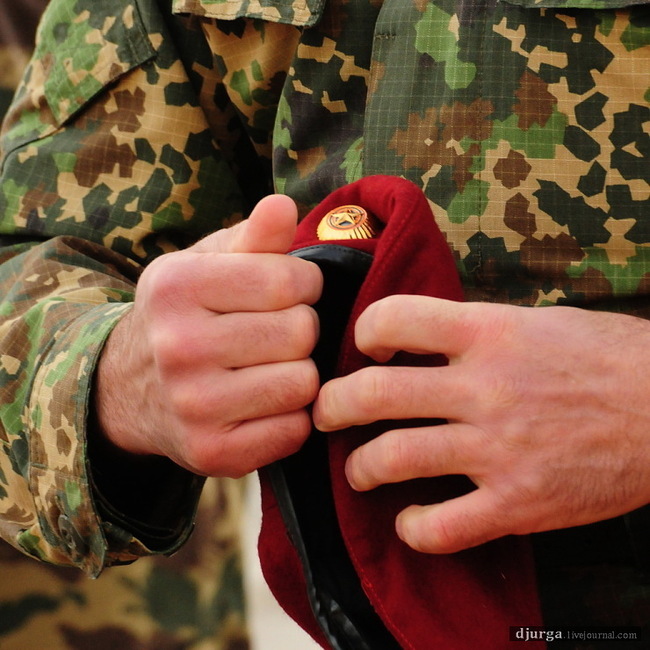 He was awarded the right to wear maroon beret stood on his right knee, and kissed picks and getting up and putting on him, says: "I serve the Fatherland and special forces". They were then greeted other "krapoviki." 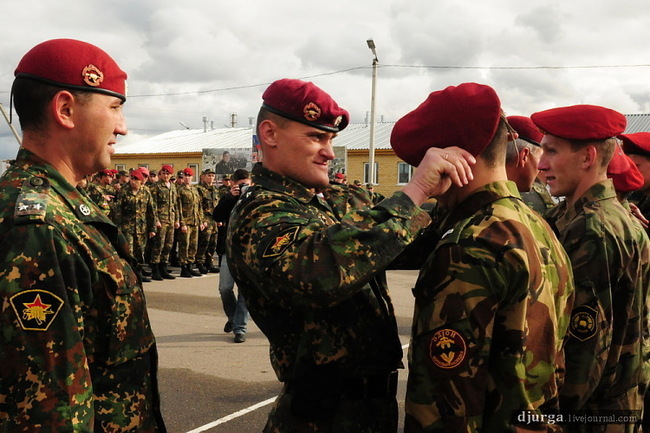 Special Forces Colonel BB, who spent the candidates from the very start of the tests, adjusts color commando brand new maroon beret. 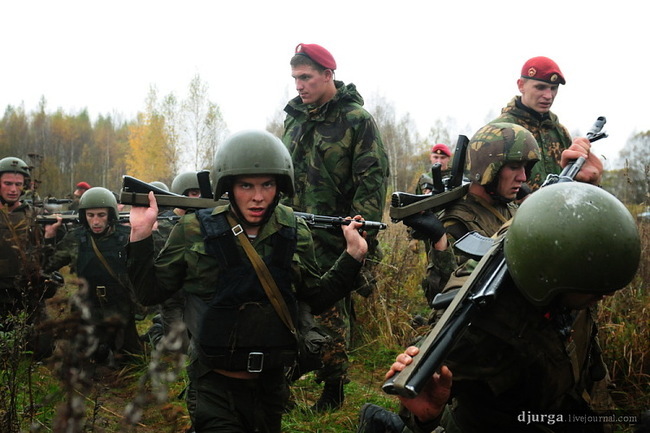 The test results on October 11 of the more than a hundred applicants the right to wear maroon beret special forces have received 8. 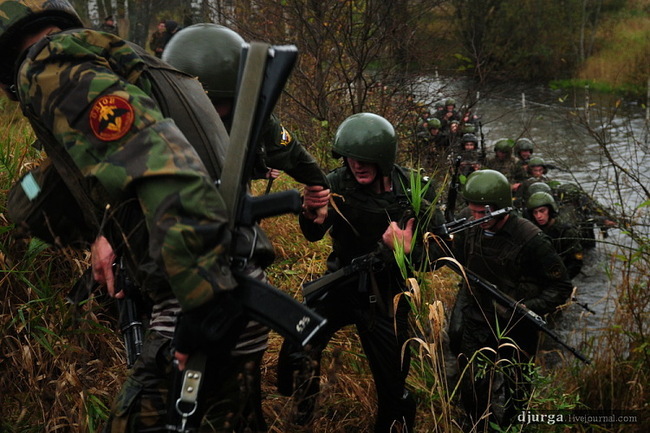 Currently, the Interior Troops of Russia there are about 500 "krapovikov." 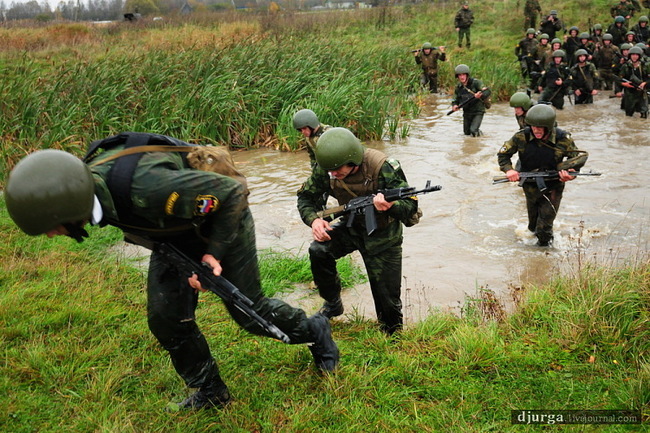 We want to wish a happy life Special Forces soldiers. Let all those for whom the maroon beret is the cherished goal, achieve it. And I want to wish a convenient, high-quality equipment.